Sounds like quite a fraught week. Sounds like a busy week . JoJo is handsome.. Great photos, enjoy your new week! 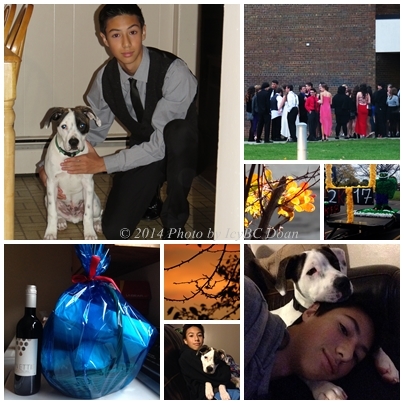 Lovely photo montage and son and dog are so adorable! Great shots! Sweet shots with the dog. the world of taking care of someone never ends eh? It's this or that, he or she.